“Carmen Fanzone always led a double life.” That’s how Jerry Crowe led a story about the former ballplayer and trumpeter that ran in the Los Angeles Times.1 Primarily a third baseman on the diamond, Fanzone played in parts of five seasons (1970-1974) for two major-league teams that suffered nearly century-long droughts between World Series wins: the Boston Red Sox and the Chicago Cubs. After baseball he fashioned a career in the music industry in Los Angeles. The Red Sox assigned him to the Wellsville Red Sox in the New York-Penn League (Class A). He tore up the league, hitting .386 with 21 homers and 71 RBIs after 85 games. Fanzone had a good eye and patience at the plate. He drew 50 bases on balls, fueling an on-base percentage of .472. In mid-July, he was sent to the Winston-Salem Red Sox (Carolina League) where he played in another 43 games. The move appeared to be a lateral one — the Carolina League was also Class A — but it was seen as a promotion.17 He hit .299 (.392 on-base percentage) with another 5 homers and 19 RBIs. Winston-Salem won the league pennant. In 1965, he played the full season with Winston-Salem, mostly in the outfield — the only year he didn’t play the majority of his games at third base or shortstop. In 139 games, he hit .289 with 3 homers and 67 RBIs. The power he had shown at Wellsville never really returned. In 1967, Fanzone played for Pittsfield again. His batting average dipped again, to .253. He played in 138 games and drove in 62 runs, fewer runs per game than the year before. As of 1968, he had played all four infield positions, and in the outfield, and in the spring of ’68 had been worked out some as a catcher. He felt it was advantageous that he had this versatility but felt that third base was his best position. In July, Billy Conigliaro had to report for two weeks of reserve duty with the U.S. Army at Camp Drum, New York. The Red Sox called up Fanzone.29 He had been leading the Colonels in homers, RBIs, and total bases at the time. Fanzone had an unusual big-league debut on July 21 at Fenway Park. In the bottom of the eighth, California Angels reliever Ken Tatum hit Fanzone (pinch-hitting for Jim Lonborg) on the elbow with a pitch. The inning ended without a run being scored. Fanzone got his first start on July 25 and went 0-for-4. On July 26, in Milwaukee he collected his first major-league base hit, a double in the top of the ninth; the Red Sox won, 12-5. He pinch-hit four more times but failed to get a hit. On August 23, he was optioned back to Louisville to make room for a couple of other Sox players returning from military reserve duty, but was recalled when rosters expanded on September 1. By season’s end, he was 3-for-15 (.200) with three RBIs. Beyond that, he was very shaky in the field, committing four errors in only 16 chances. On December 3, 1970 the Red Sox traded Fanzone to the Chicago Cubs for Phil Gagliano. The Cubs sent him to Triple A, too, to the Tacoma Cubs (Pacific Coast League). He had an excellent year, playing in 135 games and batting .327 with 28 homers and 106 RBIs. Fanzone drove in two runs with a single in his next game. In all, Durocher used him in an even dozen games, and he wound up batting .186 with five runs batted in. Fanzone was hot in spring training in 1972 but future Hall of Famer Ron Santo was the team’s third baseman. Near the end of March, in hopes of a place where he could play every day, Fanzone said, “I hope the trade rumors are true.”33 The season started a little late because of that year’s player strike, yet this was the year that Fanzone played most in the majors, appearing in 86 games. In 22 of them, he pinch-hit, pinch-ran, or was a late-inning defensive replacement with no more than one plate appearance. In all, he accumulated 264 plate appearances and hit .225 (.333 on-base percentage), with 8 homers and 42 RBIs. Some of those pinch-hits paid off, such as the two-run double on April 30 that beat the Reds, 6-4. A week later, in his first starting assignment, he hit two tape-measure homers and drove in four in another 6-4 Cubs win, over Houston. Three days after that, the 30-year-old rookie drove in the winning run in another Cubs victory. “He’s been a real revelation,” said Durocher.34 His biggest game — also against Cincinnati — was the second game of the July 9 doubleheader. He had a two-run homer in the fourth and a bases-clearing double in the fifth. In the field, he was versatile, playing 36 games at third base, 21 at first base, 12 at second, and one game each as shortstop and left fielder. In 1973, Fanzone played in 64 games and in 1974 he played in 65. The Cubs traded Ron Santo across town to the White Sox after the ’73 season, but Bill Madlock emerged as Santo’s successor in ’74. Fanzone had 162 and 170 plate appearances, respectively, but dropped off from .273 to .190 in 1974, though he drove in 22 runs each year. Both years he played third base more than any other position. Fanzone knows of other baseball players that have played music, for example Bernie Williams. The only other major-league athlete he knows of who went on to a career in music is pro football player Mike Reid.39 Reid played with the Cincinnati Bengals for five seasons at the same time as Fanzone, 1970-1974 but then gave up football to write and sing country music. Fanzone’s last big day in the big leagues was August 18, 1974, with four RBIs against the Dodgers (unfortunately, in an 18-8 loss). His last game-winning hit was a bases-loaded single in the top of the 12th inning on August 30 in San Diego. There was one advantage to being with the Cubs all those years. Only day games were played at Wrigley Field then, leaving nights free. When the ballclub was not on the road, Fanzone could sit in with jazz groups. On December 12, 1974 the Cubs told Fanzone they were placing him on waivers for the purpose of giving him his unconditional release. He was less than three months from qualifying for a major-league pension. He said he was surprised. “I can’t believe I have to hang ’em up…I’m not the first guy to get the news, of course. But it’s something you just can’t prepare yourself for.”41 The night after the news broke, Fanzone opened an engagement with a musical quartet at Chicago’s Wise Fools Pub. Then it was time to make a move. “I majored in music in college. When my baseball career ended, I felt that I had to test the waters to see if I could compete musically. I knew that I had to go either to New York or L.A. just to be honest with myself. My last year in pro ball was in Hawaii. I met a couple of trumpet players there who had been through the Hollywood scene. They convinced me to come here. That’s how I ended up here [in the Los Angeles area. “I work — I’m still working — at the Local 47 of the AF of M in Los Angeles. We’re located in Burbank now. I’ve been with them for 28 years. This biography was reviewed by Rory Costello and fact-checked by Rod Nelson. Thanks also to Rod Nelson of SABR’s Scouts Committee. In addition to the sources noted in this biography, the author also accessed Fanzone’s player file from the National Baseball Hall of Fame, the Encyclopedia of Minor League Baseball, Retrosheet.org, and Baseball-Reference.com. 1 Jerry Crowe, “Carmen Fanzone’s Two Passions Have Taken Him Around the Horn,” Los Angeles Times, July 3, 2011. 2 Author interview with Carmen Fanzone on April 12, 2018. 6 Bruce Markusen, “Detroit’s Carmen Fanzone Refused to Choose Between Music and Baseball,” Detroit Athletic Co., January 26, 2017. https://www.detroitathletic.com/blog/2017/01/26/detroits-carmen-fanzone-refused-choose-music-baseball/. Even in 2018, and despite having lived in the L.A. area for 40 years, Fanzone remains a Tigers fan. 8 “Boys’ Band at Belle Isle,” Detroit Times, July 12, 1958: 9. 9 “Cooley Recovers to Club Western,” Detroit Times, May 23, 1959: 10. 10 George Maskin, “Playoff Spots Wide Open,” Detroit Times, July 12, 1960: 10. 11 Bob Lazzari and Tony De Angelo interview. 12 Ed Alsene, “Quotes and Notes,” Daily Illinois State Journal (Springfield, Illinois), May 1, 1963: 14. 13 Email from Rod Nelson, SABR Scouts Committee, March 8, 2018. Source: Fanzone’s Baseball Blue Book transaction card accessed from Chicago Cubs files in March 2003 by Dave Zeman, courtesy of Gary Hughes. 16 Bob Lazzari and Tony De Angelo interview. 17 Hy Zimmerman, “The Bee Is Busy; Rainiers Not Scalped,” Seattle Daily Times, October 22, 1964: 35. 18 Cubs Vine Line, Vol. 26, #7, July 2011. 19 “Fanzone Still Hopeful at 27,” Springfield Union (Springfield, Massachusetts), August 4, 1968: 61. 21 “Pittsox In Home Opener,” Springfield Union, April 21,1968: 60. 23 Bob Lazzari and Tony De Angelo interview. 26 Tim Horgan, “Jesse Owens To Join Ted As Senator Aide,” Boston Herald, February 16, 1969: 67. 27 Associated Press, “Sox’ Fanzone Named MVP in Eastern League,” Boston Globe, September 17, 1968: 30. 28 “Reshuffled Sox Lose Again, 10-7,” Boston Herald, May 2, 1970: 28. 29 Fred Ciampa, “Red Sox Call Fanzone As Spare for Billy C,” Boston Herald, July 18, 1970: 21. 30 Bob Lazzari and Tony De Angelo interview. 32 Richard Dozer, “Cubs Eye Fanzone as Nucleus for '72,” Chicago Tribune, September 10, 1971: C1. The homer accounted for the only Cubs run of the game. 33 Richard Dozer, “Trade? Fanzone Hoping,” Chicago Tribune, March 29, 1972: C1. 34 Associated Press, “Fanzone Finds Home, Pounds Reds,” Lexington Leader (Lexington, Kentucky), May 11, 1972: 25. 35 Bob Lazzari and Tony De Angelo interview. 36 Harriet Choice, “Jazz By Choice: Fanzone, Moody Double Play,” Chicago Tribune, February 18, 1973: E5. 37 Wayne Minshew, “Cub Fanzone: A Hornblower,” Atlanta Constitution, May 8, 1974: 3D. 40 Jerome Holtzman, “Remember Carmen Fanzone?” The Sporting News, February 5, 1977: 43. 41 Richard Dozer, “Fanzone Gets Drummed Out By the Cubs,” Chicago Tribune, December 17, 1974: C7. 42 Brain Allee-Walsh, “Crack of Bat Still Sweet Music to Carmen Fanzone’s Ears,” Times-Picayune (New Orleans), March 16, 1980: 181. 44 Bob Lazzari and Tony De Angelo interview. In the 2018 interview with the author, Fanzone said, “I didn’t get married until I was 44. My wife was 46. She had been married before and didn’t have children. It was kind of like we missed the boat on that. Both of us agreed we didn’t want to have children right away, or adopt. It would have been nice if we had met when we were younger, but it just didn’t happen.” That said, their marriage has lasted for more than 30 years. 46 “I never played on The Tonight Show.That got into newspapers all over the country. But I used to hang out there a lot because I was living in Burbank, a mile or two from NBCF Studios, and knew some of the band. 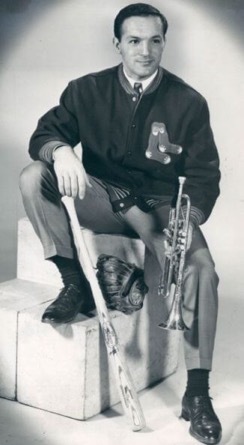 One day before the show, Doc Severinsen, he gave me a half-hour lesson!” Cubs Vine Line, Vol. 26, #7, July 2011. 47 Some of the transformers toys depicting Captain Fanzone may be seen here: https://www.seibertron.com/transformers-toys/gallery/animated/captain-carmine-fanzone/1721/1/. Accessed April 13, 2018. 49 Patrick Burke, “MLB Pension Policy Leaves Some Former Players Out in the Cold,” Narragansett Times, March 25, 2018. 50 Bob Lazzari and Tony De Angelo interview. 52 Bob Lazzari and Tony De Angelo interview.